KARACHI: An Indian magazine, Frontline that is published by publishers of the well-known newspaper The Hindu, has acknowledged that India is engaged in a covert war with Pakistan and that Kulbhushan Jadhav was arrested on espionage charges and is a serving officer of Indian Navy, according to a report by a private media outlet. The admission made by the Frontline is significant because a similar report — discussing Jadhav’s career as an agent of the Research and Analysis Wing (RAW) — was canned just a few weeks ago. So much pressure was brought to bear on the staff of The Quint that it pulled the damning report from its website for “rechecking some of the information mentioned in the article”. In his article in the Frontline, Praveen Swami writes: “Ever since 2013, India has secretly built up a covert action programme against Pakistan” that was initially led by National Security Adviser Ajit Doval and now by RAW’s Anil Dhasmana. The programme registered unp­recedented success, according to him. “…But the story of the man on death row [Jadhav] illustrates that this secret war is not risk-free. Lapses in trade-craft and judgement, inevitable parts of any human enterprise, can inflict harm far greater than the good they seek to secure,” Swami says. Praveen Swami writes regularly for the Indian Express. His article’s publication in the Frontline, and not in the Express, suggests that the latter may have declined to publish it. The article says that Jadhav joined the Indian Navy in 1987. “Inducted into the Navy in 1987, with the service number 41558Z, Kulbhushan Sudhir Jadhav would likely have been promoted to the rank of commander after 13 years of service, in 2000,” it says. “In response to a written question from this writer, the Naval Headquarters declined to confirm or deny whether Jadhav was a serving naval officer. Instead, it referred this writer to the Ministry of External Affairs. The ministry, in turn, said it had ‘nothing to add to whatever is already in the public domain’,” says Swami. The spy initially worked for Naval Intelligence, but later moved on to the Intelligence Bureau. He came in contact with RAW in 2010. “(He) was greeted with consternation at RAW, where he first appeared in 2010, introduced as a former naval officer. 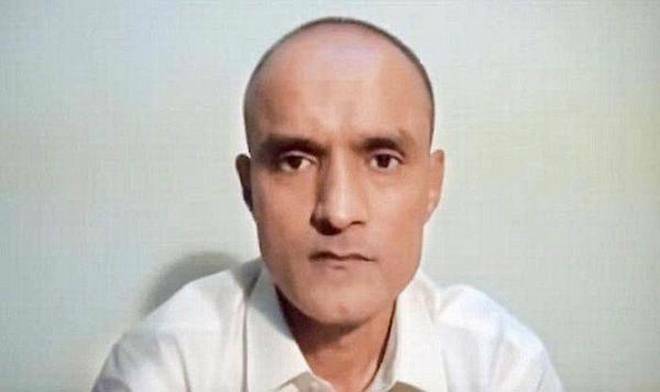 Anand Arni, the head of RAW’s Pakistan desk, shot down proposals for Jadhav to work with the organisation, sources said, arguing that the naval officer had little intelligence that RAW did not already possess,” says Swami. Interestingly, the payments appear to have continued through the tenures of several spymasters, running from Verma’s successor, Sanjiv Tripathi, the chief from 2010 to 2012, and Alok Joshi, who led RAW from 2012 to 2014.